We met Tony & Siobhan in 2009 and together set about designing a modern interpretation of the traditional Irish vernacular farmstead on their family farm land. 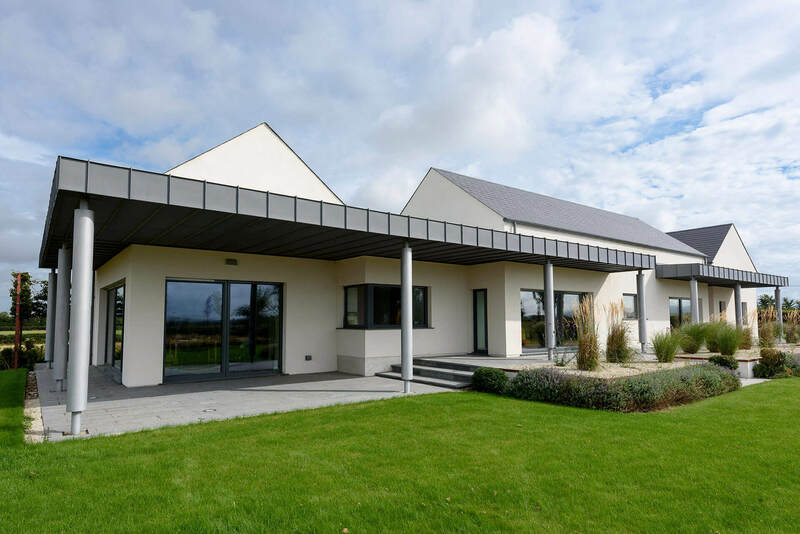 The Passivhaus Standard was a target, but designing a home that, not only fitted well into the Irish landscape, but also fitted with their growing family and changing lifestyle was their priority. 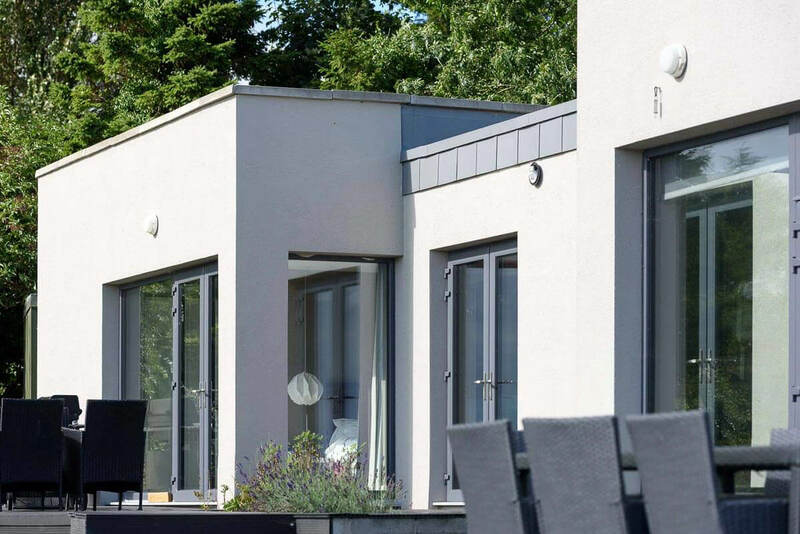 We enjoyed guiding Tony & Siobhan through all the various stages of building their dream home and worked with them closely to maintain their budget while ensuring a very high quality construction standard. Frank & Áine bought a derelict summer chalet in 2011 which had wonderful views of the Wicklow countryside. 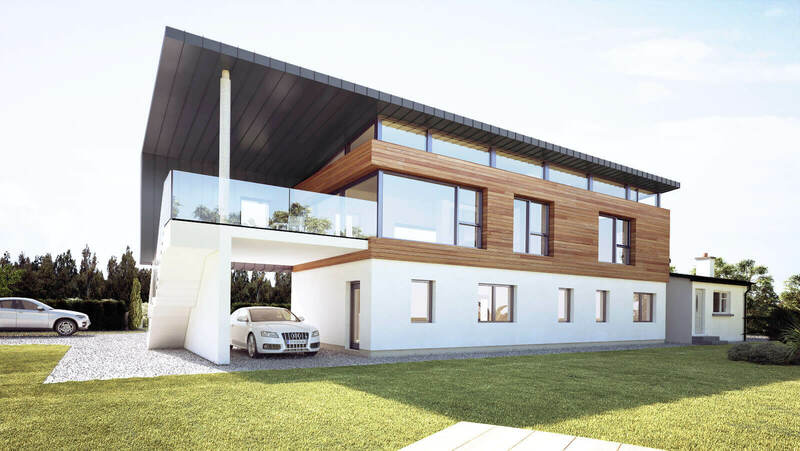 We worked with them to create a house design/ extension that was both contemporary and very cost effective to build, while maintaining the Passive House Standard. The design is a play on square and rectangular geometries, using the existing summer house square footprint to determine their locations. Each geometry forms separate functional spaces which are further defined by the introduction of split floor levels to create higher floor to ceiling heights in the open plan living, dining and kitchen areas. Designing a home for Michael & Carol-Ann started in 2015, on a green field site adjacent to ‘the home place’ in Kilanne. The site had wonderful views of the local church steeple with the Blackstairs mountains in the background. In order to maximise these views we created an inverted (up-side-down) house with living areas on the first floor and the bedrooms on the lower ground floor. The covered outdoor terrace connects the internal raised living spaces to the surrounding external garden via an external stairs. John & Clare contacted us in 2013. Their 1970’s house was damp, cold and had very poor natural light. They wanted to refurbish, re-organise and extend their home to create a well-lit “L” shaped open plan living, dining and sitting area to enhance their lifestyle and add value. 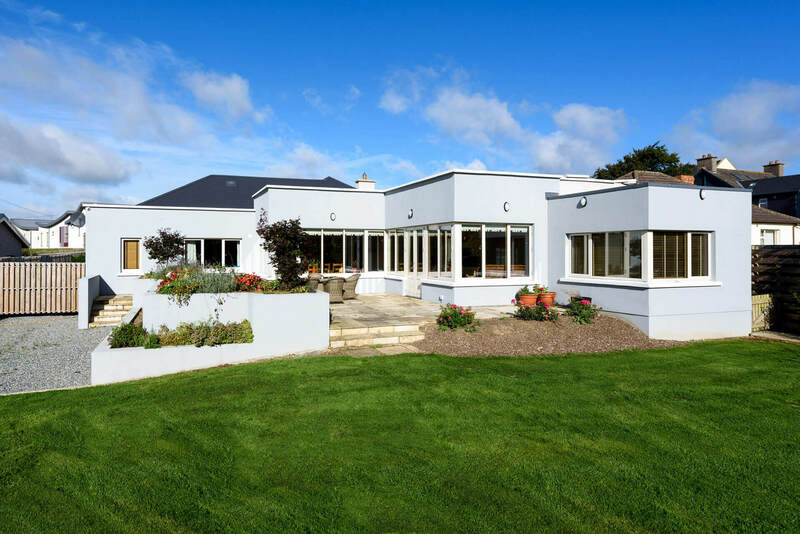 The extension is a play on “boxes” that allow the rooms to have a dual aspect and corner windows maximising the natural light throughout the day. The extension wraps around a raised outdoor terrace area which is accessed from the sitting area, and overlooks the rear garden.